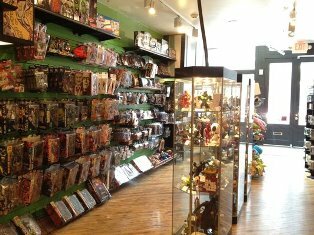 Alright Readers, the moment you have all been waiting for is here at last, the number 1 comic store in Eastern Pennsylvania! 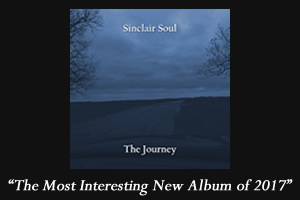 Without further ado the winner is…Brave New Worlds in Philadelphia, Pennsylvania. Not only is it named after the fantastic book by Aldous Huxley but unlike the last two comic stores on this countdown this one actually is in Eastern PA! Besides that it has a sort of unfair advantage on every store on this list because it actually has two locations, that’s double the awesome! This is also the only comic store I have already written about in my article on The World’s End screening event I attended in Old Town, Philadelphia. Although unlike Frank Miller’s Sin City the Old Town in Philly is not filled with hookers who patrol the streets with guns…unfortunately. Anyway this store really is the best one we have on this side of PA and here’s why. First both locations are fairly equally awesome. The first location I visited was in Willow Grove, in the suburbs of Philly (pictured above). Every time I go there I end up walking out of the store with a huge stack of comics because unlike other comic stores they always seem to have everything I am looking for! As any comic hunter can attest that is a great feeling. It is actually thanks to that location that I wrote Comic Book Catchup; because it was there I found all the comics I discuss in that article. Secondly they have a huge amount of awesome merchandise beyond comics. They have all the figures, graphic novels and T-shirts you could ever want. The other location in Old Town is a bit smaller but no less awesome! I mean as a fan of history it’s pretty wild that the store is in Old Town because that was the first location that was built up back in the colonial days before the city expanded over the years. Let’s take a quick side track and discuss why Philadelphia itself is a cool town. It was originally founded and planned out by William Penn and by the time of the American Revolution it was called the Athens of America because of the amount of intelligent and innovative people that called it home, like Benjamin Franklin. Who despite what Boston says is really a Pennsylvanian. I mean the guy ditched Boston as soon as he could to live in Philadelphia. You wouldn’t go around saying Bob Dylan was a Minnesotan because that’s where he was born. Bob Dylan is synonymous with New York and Franklin is synonymous with Philadelphia. Anyway the architecture of Philadelphia is wonderful because it’s all old brick colonial buildings. That is where my rant on ‘the City of Brotherly Love’…,the only misnomer about the city, ends. The Old Town location of Brave New Worlds has everything the Willow Grove location has but on a slightly smaller scale. Also because they have less room it seems like everything on display or for sale is optimized to be as fantastic as possible. Not to mention one of the operators of the store, Brian, is a fan of Rick Remender . So when I went in all of his picks for that week were stories by Remender I had wanted to read. On top of all that, the Old Town location looks exactly like I would say a comic book store should. 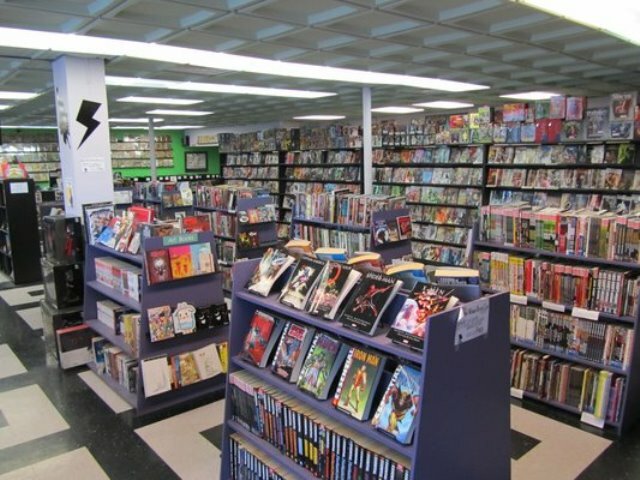 It is almost like the perfect form (to quote Plato and put my Philosophy Minor to use) of a comic store has been distilled and created on earth. Finally both locations have one killer website that has to be in the top ten of all comic store websites in the country! They are also all over social media promoting their store. If you find yourself in the Philadelphia area and you are a comic book lover be sure to check out these locations! Alright that ends the countdown of the top 4 comic stores in Eastern Pennsylvania. 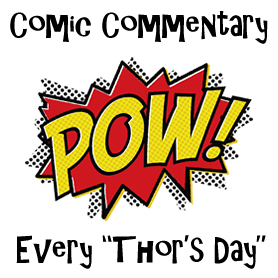 I hope you’ve enjoyed it and be sure to check back next ‘Thor’s Day’ to see what new Comic Book Commentary I come up with!